On the same day the “enterprise mobility” company announced its looming acquisition by handset manufacturer Motorola, manufacturer Symbol Technologies rolled out a new RFID reader for harsh, rugged environments. 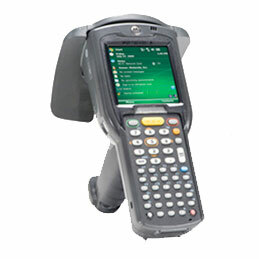 The RD5000, a vast improvement over older readers, is a compact, mobile Gen 2 RFID reader that can be integrated with forklifts, pallet jacks, stretch wrappers, and other material handling equipment, and used in space-constrained environments. By extending the range of RFID beyond the dock door, the RD5000 mobile RFID reader provides customers with improved asset visibility in motion throughout the supply chain, says Symbol. The reader is designed to be mounted onto a forklift with the Symbol VC5090 vehicle/fixed mount computer as part of an integrated forklift package. The objective: to reduce the need for drivers to spend time recording the receipt and movement of goods. List price is $8,000 per reader, but rates are negotiable and based on volume. So what kinds of wares will the handset/portable radio maker and the mobile computing biz whiz cook up in their shared kitchens? There’s lots of speculation and excitement but folks at Symbol and Motorola are keeping their mouths shut … at least until the deal closes. The acquisition has been viewed mainly favorably by industry analysts covering both companies’ markets; most also agree that the acquisition means Motorola sees a big future in enterprise markets as well as RFID technology.